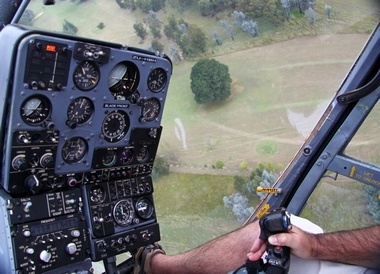 The Gazelle designed in the 1960s' as a replacement for the legendary Alouette II had big shoes to fill. The Alouette had already made a name for it and was established in a number of Air forces. 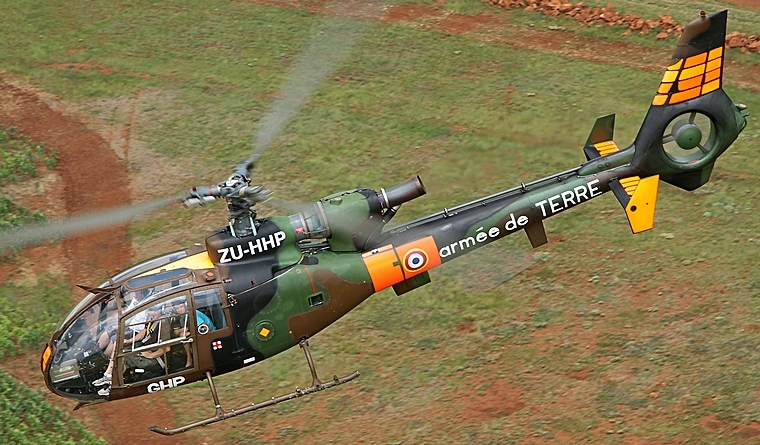 Series production by SNIAS in France and Westland Helicopters in the United Kingdom started in early 1970. Although available in two commercial versions (SA 341 and SA 342) most of its production was intended for defense forces with France, United Kingdom, Tunisia, Egypt, Morocco, Tunisia, Yugoslavia, Kuwait and a host of others placing orders. 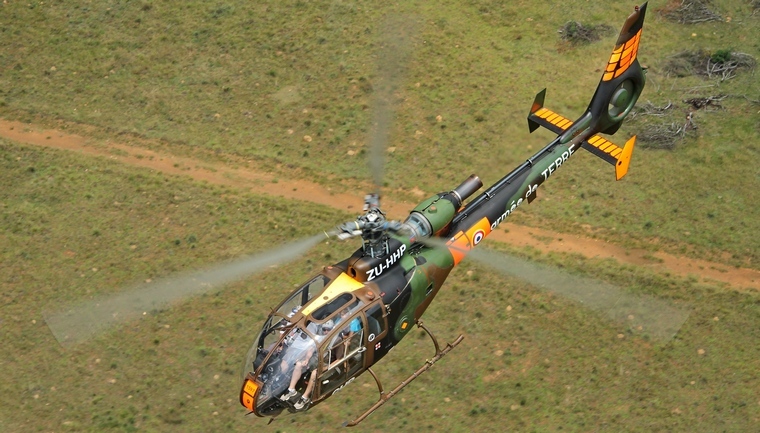 The Gazelle is a real Warbird having seen action by French Forces in Chad, Djibouti, Ivory Coast, Rwanda, Somalia, Libya, Yugoslavia as well as during the Gulf and Afghanistan wars. Westland Gazelle's of the United Kingdom were used during the Falklands War and during the Gulf War as well as the Kosovo conflict. 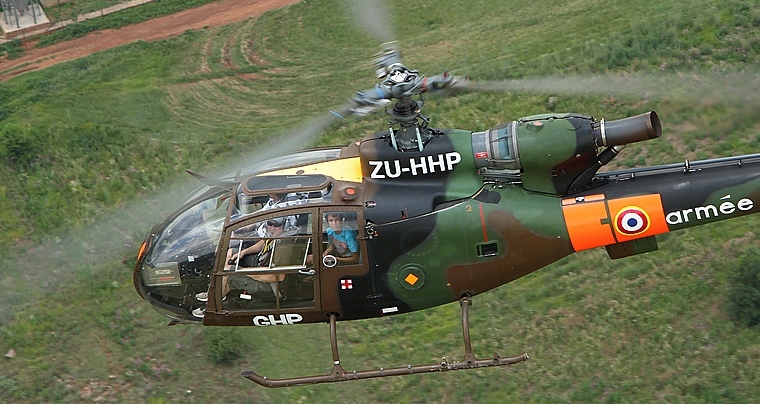 Despite its age the Gazelle still forms the main combat helicopter component in the defense forces of several countries. More 2,000 Gazelle's were manufactured, 1250 plus in France, 262 in the UK, 30 under license in Egypt and an estimated 200 plus in the former Yugoslavia. The first Gazelle that found its way onto the South African Register was the Westland build model belonging to Anton von Willigh that made it first public appearance in its original Royal Navy livery at the 2011 EAA Convention held at Volksrus. She was later re-sprayed and became a regular visitor at EAA and other events. 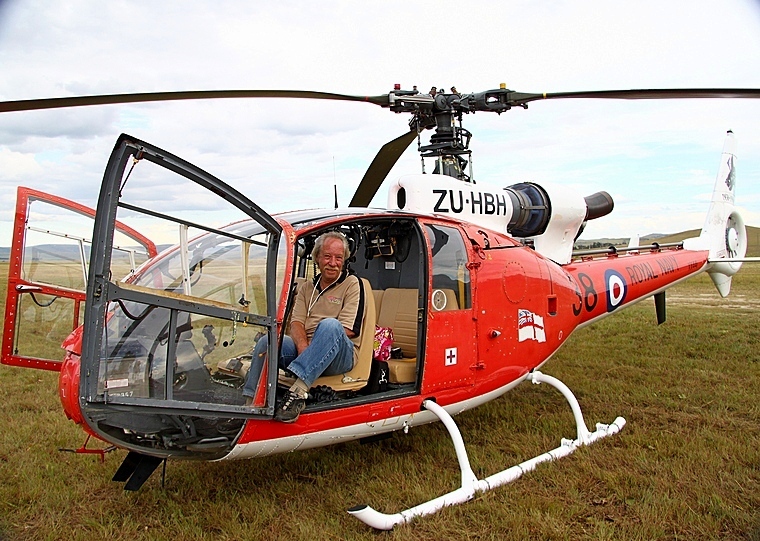 The second Gazelle, a Sud Aviation build Model SA 341 F2 was imported during 2013 by Eugene Couzyn a well-known EAA member and owner of a Alouette II. 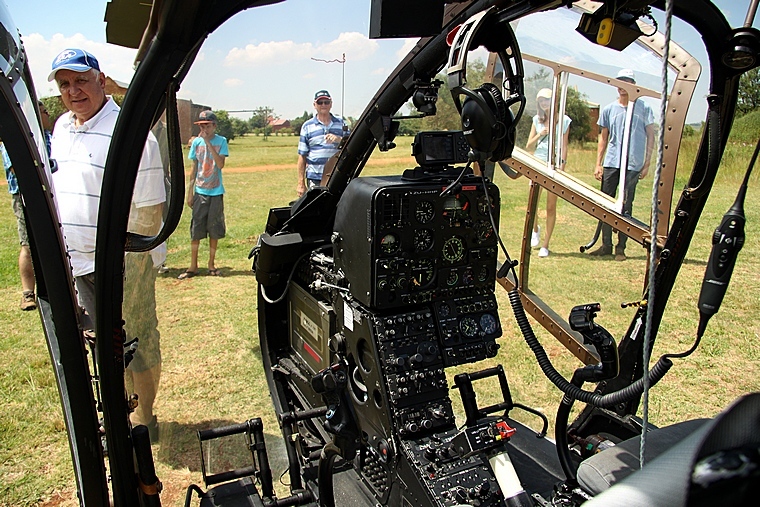 Eugene first saw Anton' s Gazelle when it was parked at Johan Lok's Warbirds workshops at Wonderboom Airport and was mildly interested until he witnessed the speed, agility and performance displayed by Anton's Gazelle at Volksrus. Eugene wanted an ex-military example that had not been civilianised and after spending two years searching eventually found what he was looking for. He travelled to Europe and made his choice not really knowing what he was letting himself in for. 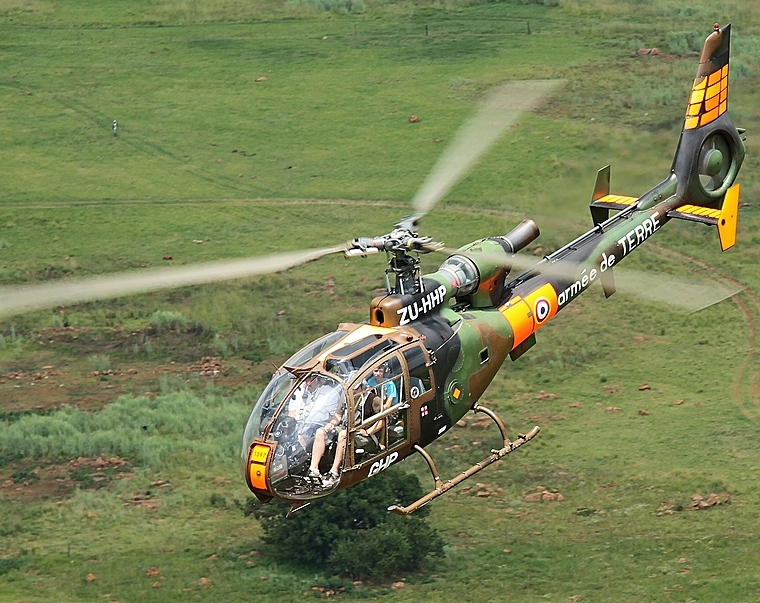 It eventually took 12 months of blood, sweat and tears before with assistance from the Aero Club of South Africa the Gazelle was eventually registered as a NTCA (Non Type Certified Aircraft) with the South African Civil Aviation Authority. 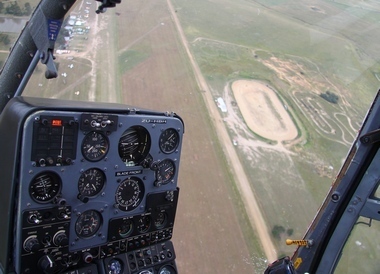 The good news is that more Gazelle's might in the not too distant feature be gracing our skies.